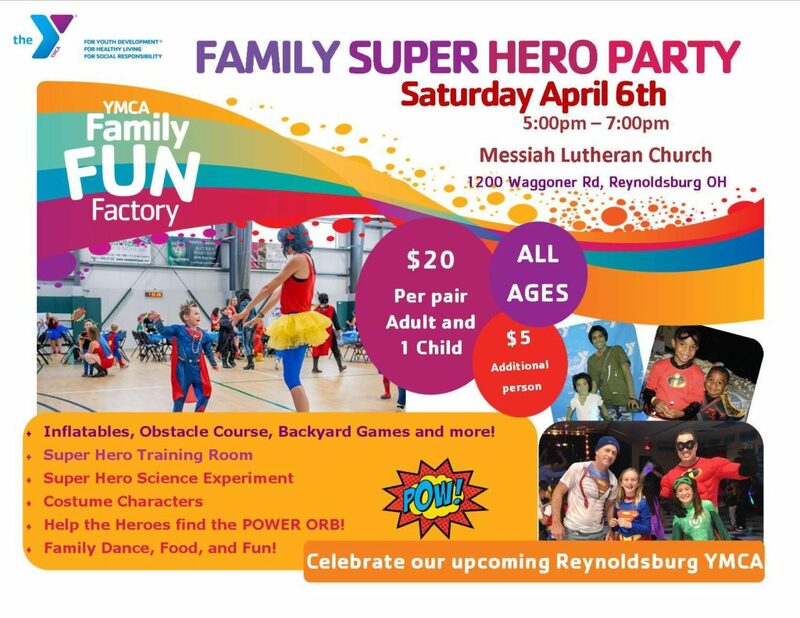 Family Super Hero Party will be held at Messiah Luther Church in Reynoldsburg Saturday April 6th 5pm-7pm. Membership is not required – all in the community are welcome! Help the Heroes Fund the Power Orb! 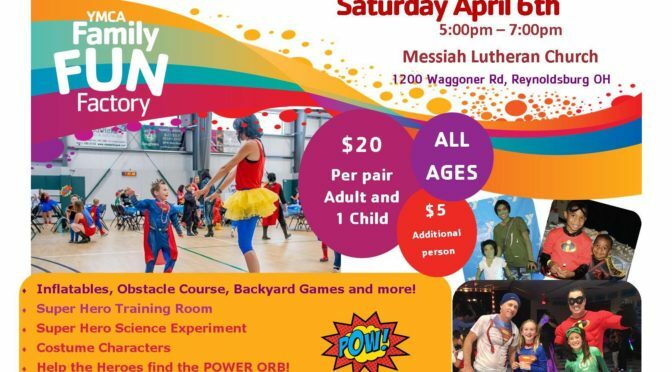 Super Hero training room, Super Hero Science Lab, inflatables, costume contest, Costume Characters and games that will test your super hero abilities. Event is open to All(Dad, Mom, Aunt,Grandparents, Family Friend, etc…) Super Hero dress is encouraged (mom’s too! ).